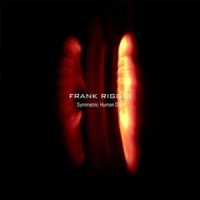 Omelette Presents Frank Riggio's wildely wikid and sophisticated new sonic masterpiece; Symmetric Human Door for FREE DOWNLOAD! The Symmetric Human Door LP is an epic journey through a psychedelic afterworld of dark and brooding grooves laden with knarled funk and lichen covered rock licks. Rich melodies thoughout are cohered from a myriad of impeccabley processed samples and lushly fabricated electronica. 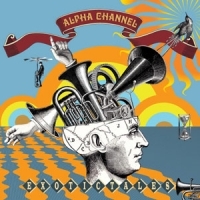 Get excited people casue Alpha Channel Launch their debut LP 'Exotic Tales'. After nearly a year with their heads buried in sonic experimentation, electronic production duo Editor have emerged with their debut release Interview Techniques. This full length album is heavily rooted in the style of dubstep yet encompasses aspects of dub, minimal electro, reggae, hip hop and other broken beat styles. The overall result is a journey through the sonic spectrum with interweaving twists and turns tied together by richly textured channels of groove, ultra slick production and discerning musicianship throughout. Interview Techniques is available now through Addictech. A NigHt 0f WhOMp & WoBble with Heyoka, Spoonbill and guests. Heyoka, (San Francisco) brings a deeply psychedelic experience driven by huge lumbering bass lines and gritty programing. Live support on the night comes from Australia's own master of quirky electronica; Spoonbill, who has returned from a massive national tour. Plus the monkey masked dub bandit; Monkeymarc. And dj support from some of Melbourne's finest Glitch hob & dubstep appreciating Djs Bass Bin Laden, Ghettafunkt and Dakini. Also impeccable Visuals by Dropbear and Dougstep. 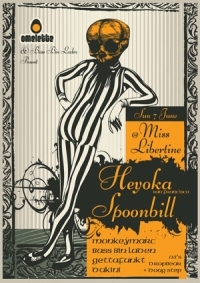 @ Miss Libertine. 34 Franklin St, Melbourne CBD.